If you haven’t been following us on our social media profiles then you may have missed the latest and greatest news, our partner No Risk SEO Inc & The Miami SEO Company have been nominated for the “Best SEO Campaign”. Thousands of other agencies applied for this prestiguos award and only a few were nominated. Some of the other marketing agencies that were nominated were companies that handled the SEO for Chevrolet and HP. We as a small, local marketing company are humbled and honored to have been nominated alongside the other huge marketing agencies that have been around for a lot longer than us. We attribute this accomplishment to our company philosophy and culture. To learn more about our company culture and philosophy you can read this blog post which explains how we operate as one of the top marketing companies in Miami. We Became an All-Star Google Partner! 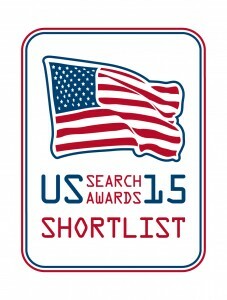 If you missed the news last year, we were also nominated for the short list by The 2014 US Search Awards (powered by Pubcon) for the “Best” PPC Campaign! 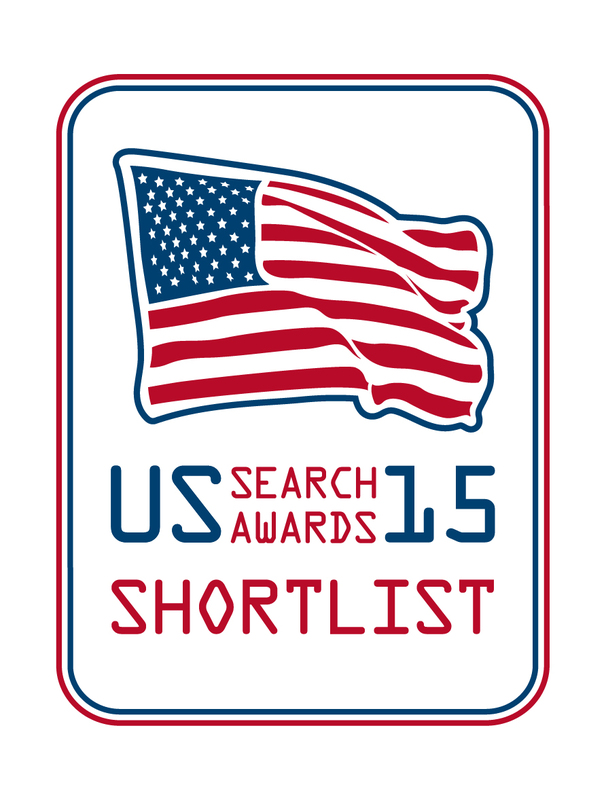 You can see all the details on the Official US Search Awards website! This is just one of our recent accomplishments. Additionally, as search engine marketing experts we feel that sharing our knowledge with the world is the best way to build our brand. Which is why we regularly share case studies, blog posts and success stories on our website and many other well respected sites on the web. Some of the sites we write on are huge such as the ones mentioned below, feel free to take a look and see what we have been doing in the SEO industry lately. Search Engine Journal – The sports illustrated of the search engine marketing industry is exactly what you can compare SEJ to. It is the go to source for all things that are related to search engines and marketing online. On the SEJ, we contribute blog posts regularly about advanced marketing tactics and strategies that we develop. We also share case studies and tips that can be used to make the workflow of a marketer more efficient. Only the most experienced SEO experts are featured on SEJ so if you are interviewing SEO companies and they don’t have members on sites like SEJ then you might not be working with true experts. We have been widely recognized as industry experts and are making our way around the country to attend trade shows as guest speakers and contributors on industry leading blog sites like the Search Engine Journal. To see some of our work, visit Sergio’s author page or Jason’s author page on SEJ to see there latest posts! 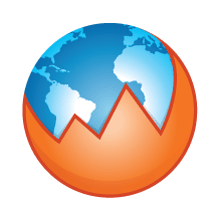 SEMRush is a tool that almost every search engine marketer uses. It’s like the MLS database for SEO’s in that you can find out everything you want to know about web properties that are on the search engines. You can quickly find out what your competitors are doing on the search engines by plugging in their website URL into SEMRush’s competitor research tool. It will show you things like which keywords they are paying Google per click for and which keywords they are ranking for organically through SEO. We use it so much that we blog about how we use it to do our research for our prospects and SEMRush allows us to write on their website. Our competitor research techniques allow us to formulate plan to crush the competition of our clients with SEMRush. To read out posts on SEMRush, visit Sergio’s, or Jason’s author page on the SEMRush’s blog! Ahrefs is a software that is used to analyze and monitor back links to web sites and as an SEO company we rely pretty heavily on this type of data and activity. Ahrefs.com allows you to plug in a website URL and instantly will give you loads of data pertaining to their back links and the metrics that they are associated with (i.e. 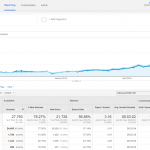 anchor text, link URL’s, link quality stats and more!). When we get a call from a prospect that found us online (which happens about every hour) 9 times out of 10 they are calling us to see if we can provide them with a better service than their current SEO provider. Unfortunately most SEO providers out there are either scams or still relying on ancient link building techniques that get you in trouble. Ahrefs can quickly tell you if links are being built over seas on spammy sites so that you can feel safe at night knowing you have a firm understanding of your links and where they come from. To read our posts on Ahrefs click here! Social Media Today is by far one of the most engaged sites out there that pertains to social media. If you ever have a question about social media, this site has the answer. We recently started contributing content to SMT as social plays a huge role in SEO. Since the inception of Google Authorship getting your author rank up has been a huge race that everyone is trying to place first in and you couldn’t do that with our the power of many social media profiles and big audiences. Although it’s been rumored that social doesn’t play a role in the algorithmic based ranking system that Google uses, we have performed case studies that shows indirectly you cannot afford not to do SEO if you want to rank for competitive keyword phrases in competitive industries. To read our posts on SMT click here! Monitor Backlinks is another great back link monitoring tool which will allow you to see a whole lot of great data related to your (or your competitors) back links. If you’re doing any kind of link building or link research, you should consider checking out this tool. As a search engine marketing focused web design and marketing company, we rely on tools just like Monitor Backlink’s software to have a competitive edge against your competition. While there are many tools out there that offer the same kinds of data, almost every tool is unique and provides certain features that others don’t which is why we diversify the amount of back link analysis tools we use. To read some of our blog posts on The Monitor Back links blog, click here. Content Marketing Institute – is the leader when it comes to blogs related to all-things-content. Content experts from around the world share their insights on content marketing, procurement, syndication, promotion and much much more. If you’d like to learn about anything related to content this is the place to go. 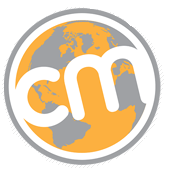 Moreover, we recently were given the oportunity to become content contributors for the CMI blog and we are very honored to have that privilege. If you’d like to keep up with us on the CMI blog, be sure to periodically check out our author page on the CMI blog to keep up with Sergio’s blog posts as well as great posts from other authors and guest bloggers on that site. Advanced Web Ranking Blog – Advanced Web Ranking’s blog is a great place to go to to find information related to online marketing and SEO in general. They only accept industry experts as bloggers on their website so that they can have true professionals sharing content that is helpful for their audience. 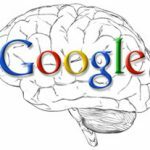 Our most recent blog posts on the Advanced Web Ranking’s blog can be found by visiting Sergio or Jason’s author page. SERPwoo Blog – SERP woo is a reporting software that is very well known and robust, its a great tool for anyone who is engaged in search engine marketing and provides great ranking reports for agencies, business owners or entrepreneurs looking to market their website’s products or services on search engines. Only industry experts are featured on the SERPWoo blog and we encourage you to visit their blog to not only keep up to date with our blog posts that we submit there but other professional online marketers as well. Feel free to check out the SERPwoo blog by reading our latest blog post on their site.